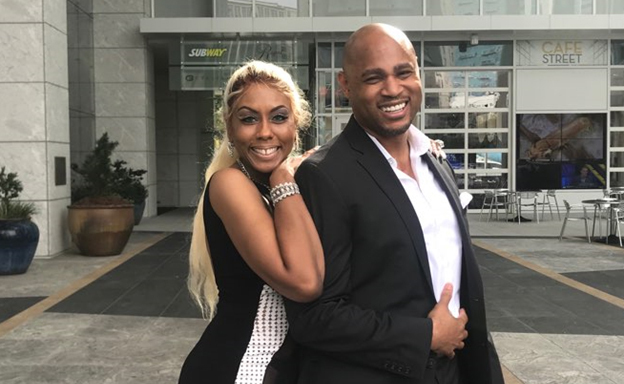 Former “Hot 105” WHQT Miami afternoon host and radio vet Rick Party, whose main gig now is "The Voice" of ESPN's SportsCenter and former “Kiss 104.1” WALR Atlanta afternoon host Sasha The Diva will host “Rick and Sasha” along with comedian Benji Brown. Westwood One, the largest audio network in the U.S., will be nationally syndicating a new weekday morning show pairing two of the most popular Urban voices in the country — Former Hot 105 FM/Miami personality Rick Party and Former Kiss 104.1 FM/Atlanta personality Sasha the Diva. Rick and Sasha will air live mornings from 6-10 am in all time zones across America plus be available for other dayparts and Urban formats. This new morning drive program will include comedian Benji Brown along with other incredible talent. Rick and Sasha targets 25-54 Urban AC listeners looking for great music, hot conversation, and interactive discussions, while super serving females 35-44. An impressive station list of 20 plus stations are earmarked to join as part of the national rollout. Rick Party, a 30+ year veteran radio host, has established a solid reputation as one of the best voices in Urban radio. Boasting a track record of success on radio stations in cities such as New York, Chicago, Atlanta, Dallas and Miami, just to name a few, he is known as a ratings giant. Rick credits his ability to make listeners feel like they’re a part of the show as his secret to success. Sasha the Diva, a 20+ year veteran radio host, established a successful career in Baltimore before entering the Atlanta market where she emerged as one of Atlanta’s most recognized personalities. She brings energy, charisma and an innate ability to connect with listeners that has transcended both radio and the big screen with appearances in movies and television. “We’re very excited about this opportunity! It’s been our life-long dream to have a syndicated platform that allows us to inspire, inform, educate, entertain and bring ‘Real People, Real Radio.’ We look forward to connecting, engaging and entertaining listeners across the U.S,” said Rick and Sasha.